Careers in Dental Software and Medical Software Solutions - ABELSoft Inc.
ABELSoft did not become a market leader overnight. 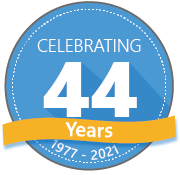 For over four decades, we have cultivated an experienced, motivated and loyal team of people who work together to deliver software, support and services to thousands of dental and medical healthcare providers. Our head office is completely accessible. Please do not hesitate to let us know if you require any accommodation to facilitate the recruitment process.